As a stylist I try to open my client's minds to different colors, prints and styles they might not have thought to try. Just as importantly I like to expand their shopping grounds. We all have our favorite stores and brands that we like to be loyal to. However, looking wider than your usual stores can pleasantly surprise you. I decided to put myself through this challenge and ventured to Ally Fashion in the Canberra Outlet Centre. Nothing against the store it’s just that I am over 30 and the target market is much younger. I also had Bron as a muse to experience the store with me. Walking in I was drawn to their China Plate collection a mix of white and denim. 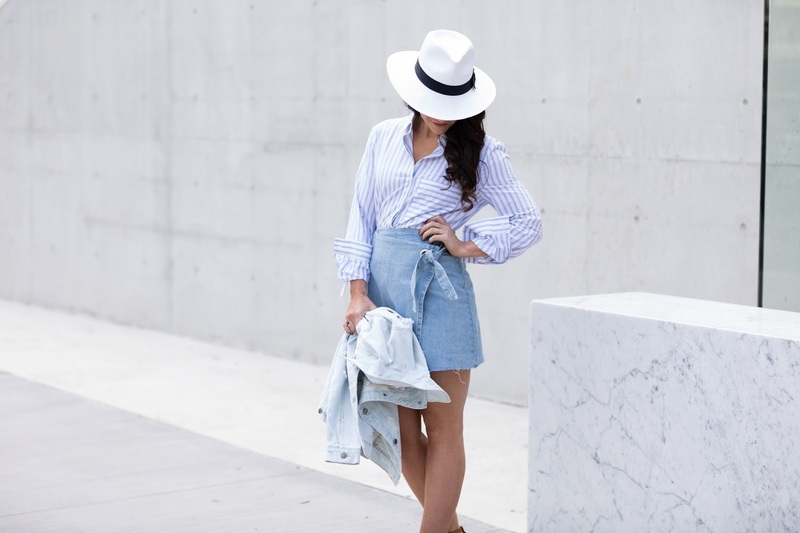 I love white and denim for fresh summer feels. For myself I did a double denim look with a gorgeous pastel embroidery bag. I thought this camisole with the sheer detail also looked more expensive then it really was. So now over to you I want you to challenge yourself and your shopping beliefs, explore a little. Who What Wear - Be brave, be bold, be you!